Light, quiet and affordable, the Yoga 2 11-inch has its promise snuffed out by a slow processor and hard drive. Hybrid, convertible and 2-in-1 devices could be the next frontiers for computing, but they’ve so far struggled with several fundamental issues. The most problematic one is size. A 13-inch system is ideal for serving up a fast Intel Core processor and a 1080p (or better) display, but it results in a PC that’s too large and heavy to be comfortable when used as a tablet. 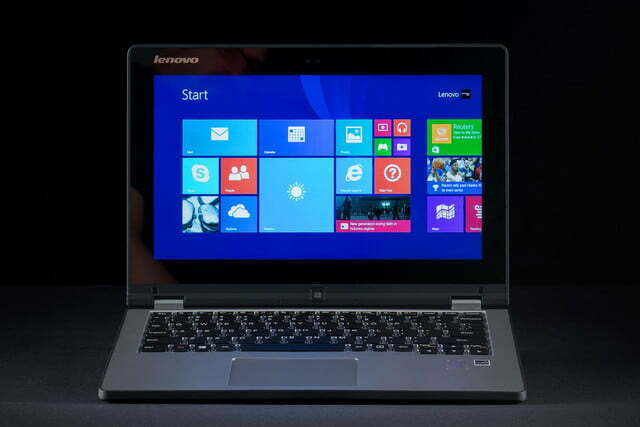 The Lenovo Yoga 2 11-inch is smaller than the 13-inch version, but suffers from many of the same problems. Going small is the obvious solution, but it’s more difficult to do than it sounds. Reducing size means decreasing room for the battery, hard drive and cooling, all of which results in a less powerful system. Older convertibles were often handicapped by anemic Atom dual-core processors that just weren’t quick enough. 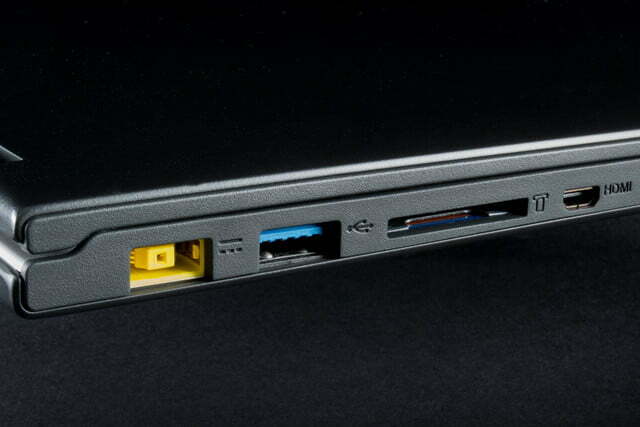 The Yoga 2 11-inch, however, uses a new CPU that’s become popular this year; Intel’s “Bay Trail” quad-core. Though the processor is sold under the familiar Pentium name (or Atom, when it targets a lower clock speed), it’s actually a new design that’s quicker and more efficient than the Atom dual-cores of yesteryear. 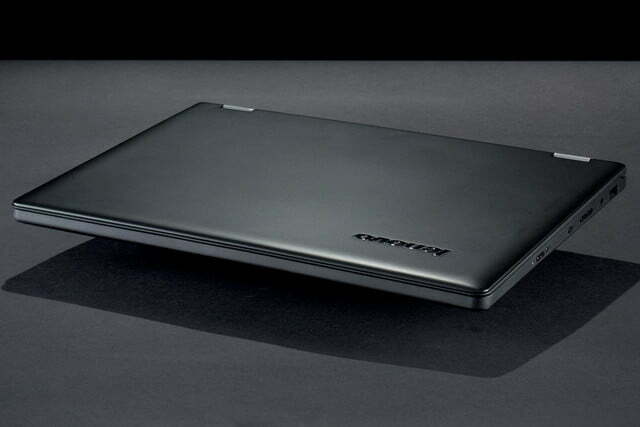 Lenovo has paired this new quad-core with 4 GB of RAM, a 500GB hard drive and a 1366×768 display, all for $499. That’s a very reasonable price, but it’s still more than most Android tablets, and the same as a base model iPad Air. 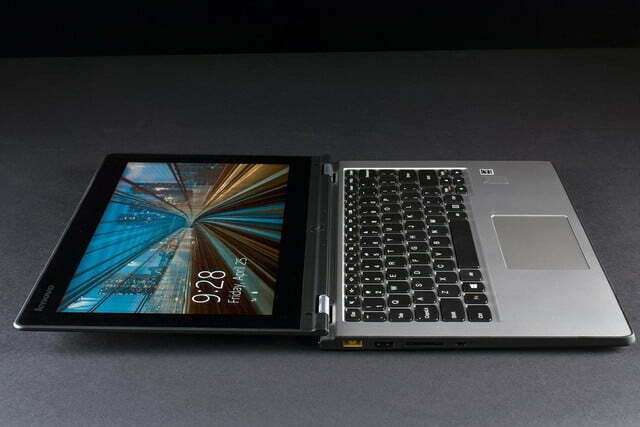 Can the Yoga 2 prove that Windows laptop-tablet convertibles aren’t hopeless? 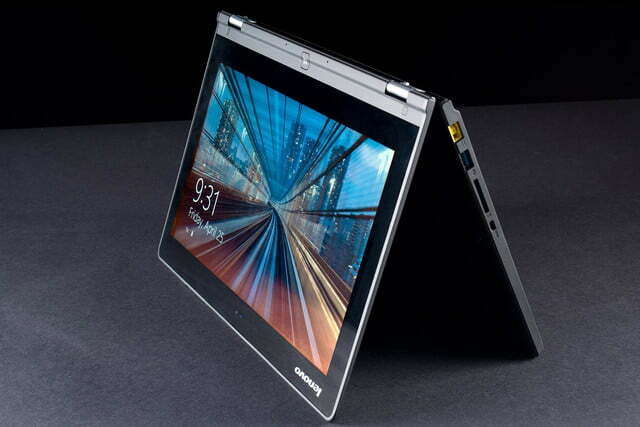 The Lenovo Yoga 2 11-inch, like its 13-inch cousin, takes a more conservative approach than the original. Our review unit arrived with a black lid and a silver lower chassis devoid of flash or style. Mistaking it for a tiny Ultrabook or new-age netbook would be forgivable, as the Yoga name is nowhere to be found on the system. Plastic is the material of choice, which causes build quality issues. We noticed some flex when picking the system up with one hand. This was most apparent when we moved the system by gripping it near the right or left side of the keyboard. 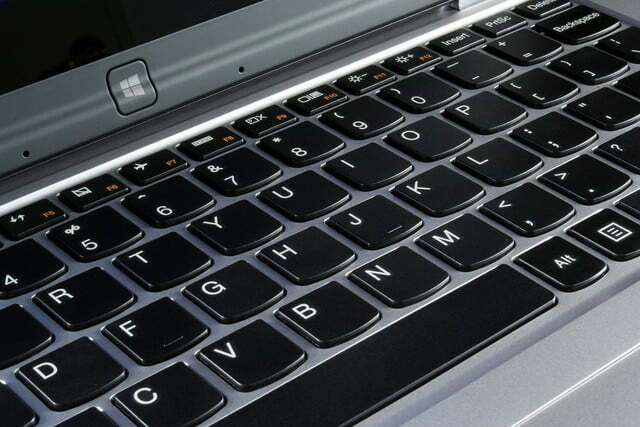 Pressure from a finger on the bottom of the laptop can slightly distort the normally flat keyboard. There’s also a general sense of hollowness that’s not reassuring. The 360-degree hinge is solid at least, as it works without a hitch and feels durable throughout its rotation. Once converted to a tablet, the 11-inch system is easy to handle thanks to a very large bezel surrounding the display. The uncovered keyboard remains troublesome, however, as does the Yoga 2’s weight. Even this version is three times heavier than an iPad Air. We also don’t like the location of the power and volume buttons, which are on the center of the right flank when the Yoga 2 is held in landscape orientation while in Tablet mode. 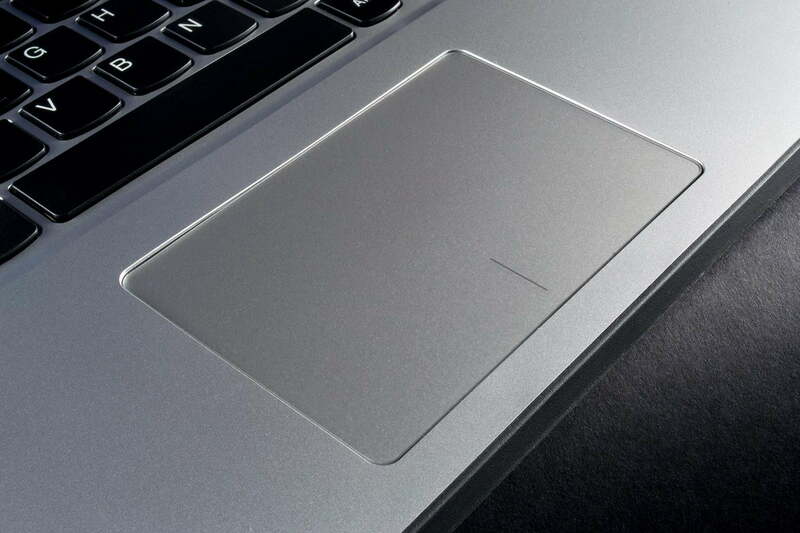 These buttons are located under the user’s palm, which means that pressing them accidentally can occur often. 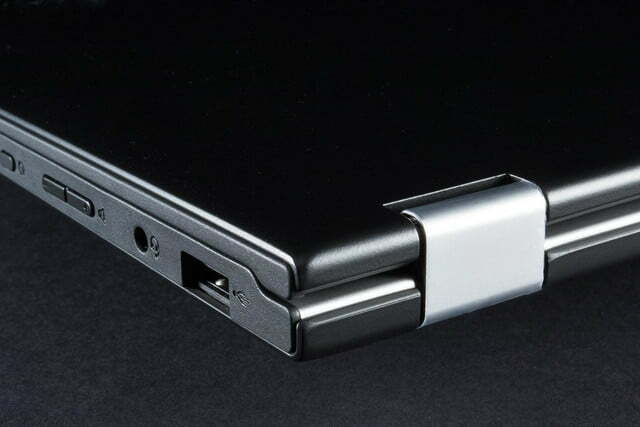 There are two USB ports, one of which is 3.0, along with a combo headphone/microphone jack, micro-HDMI, and a 2-in-1 card reader. This selection isn’t great for a notebook, but it’s excellent for a tablet. The Yoga 2 11-inch also supports 802.11 b/g/n Wi-Fi, as well as Bluetooth. An Ethernet port is not available. The Yoga 2 11-inch’s AccuType keyboard isn’t Lenovo’s best work in this area. Though it’s spacious given the size of the system, key feel is stiff and lacks feedback, which can result in errors for touch-typists. We frequently found that keys we thought we had pressed were not recognized by the system, resulting in excessive typos. Truncated keys are an annoyance too, as Tab, Backspace and left-side Shift are all smaller than they should be. Keyboard backlighting is not available on the Yoga 2 11-inch. That’s not surprising given the price, but its absence can make the system difficult to use in a dimly lit room. Touchpad quality is another sore point. The surface, which is about three and a half inches wide by two and a half inches tall, is reasonably large, but responsiveness is a problem. Scrolling through a Web page is a jerky start-stop-start affair, even when using a fast browser like Google Chrome. The integrated left/right buttons lack tactile feel as well. The touchscreen is more enjoyable though. Scrolling through content with the swipe of a finger provides a smoother experience, though occasional hitches occur. 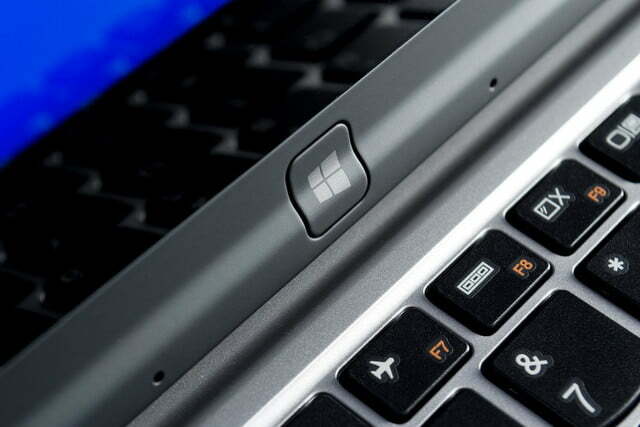 Navigating Windows is a breeze, as long as you stick to the Start Screen and Metro-style apps. On the desktop, however, the small screen makes some interface elements too small to reliably tap. One of this system’s obvious problems is the display, which has a native resolution of 1366×768. When used as a laptop, the low-resolution display isn’t a problem, as 720p on an 11-inch screen translates to 135 pixels per inch, which is enough to look smooth from three feet away. When held closer and used as a tablet however, the lack of sharpness poses an issue. Small fonts look blocky, fine interface elements lack definition, and images don’t pop as they do on most Android and iOS alternatives. Image quality is mixed. The displayed rendered just 70 percent of the sRGB gamut in our testing, which is less than the Dell Venue 11 Pro, HP Spectre 13t x2, and the ASUS Trio. Only the Acer Travelmate TMX313 scored worse. 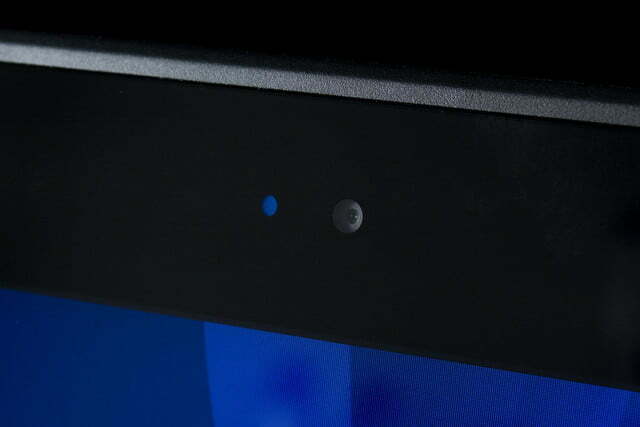 On the other hand, the Yoga 2 11-inch managed a maximum contrast ratio of 650:1, and a maximum brightness of 360 lux. Both figures compete well with the previously mentioned convertibles. The built-in speakers are what you’d expect from a small laptop. Though loud enough to fill a small room with sound, they’re otherwise dull, flat and devoid of low-end sound. Tracks with heavy bass can cause distortion, as the speakers desperately struggle to keep up. 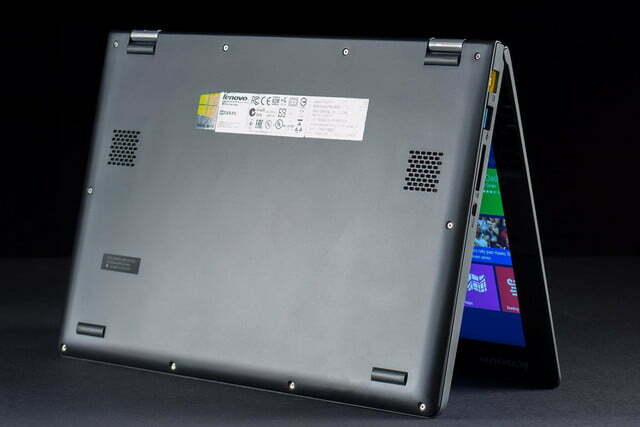 The quad-core Pentium N3520 processor housed in the Yoga 2 11-inch is based on the same Bay Trail architecture as the new Atom quads. In fact, it basically is an Atom quad, albeit one clocked at 2.16 GHz. How did it perform? Let’s start with SiSoft Sandra’s Processor Arithmetic benchmark, a balanced test that doesn’t excessively favor multiple cores. The Lenovo Yoga 2 and Dell Venue Pro 11 perform similarly, with respective scores of 12.84 and 11.57. These systems are of similar size, and both have Bay Trail chips, but the Venue Pro 11 we reviewed had the slightly slower Atom Z3770. 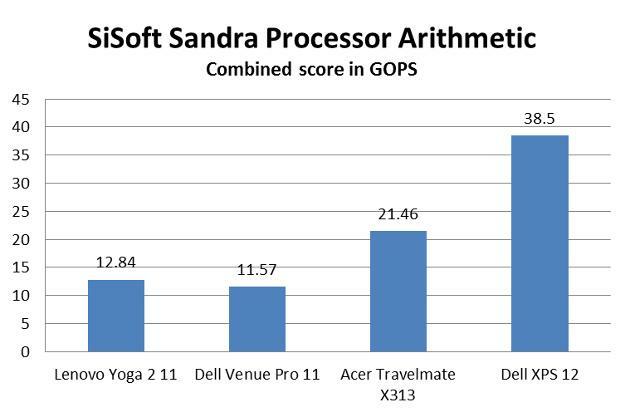 The Acer Travelmate TMX313, however, nearly doubled the Yoga 2’s mark with its score of 21.46. Then there’s the Dell XPS 12, which scored a much higher 38.5. Both of these systems have Intel Core dual-core CPUs, and boast superior per-core performance. Now let’s move on to 7-Zip, a file compression benchmark that’s heavily multi-threaded, and takes advantage of multiple CPU cores. Will the Pentium N3520’s four cores perform better in this test? 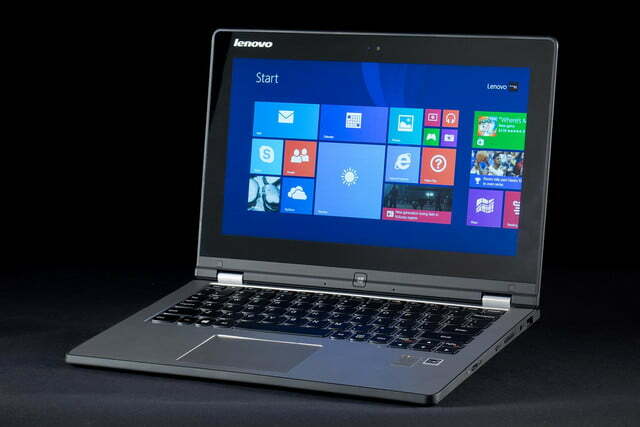 None of these systems performed well, but the Lenovo Yoga 2 11-inch is particularly slow. In a word; yes. 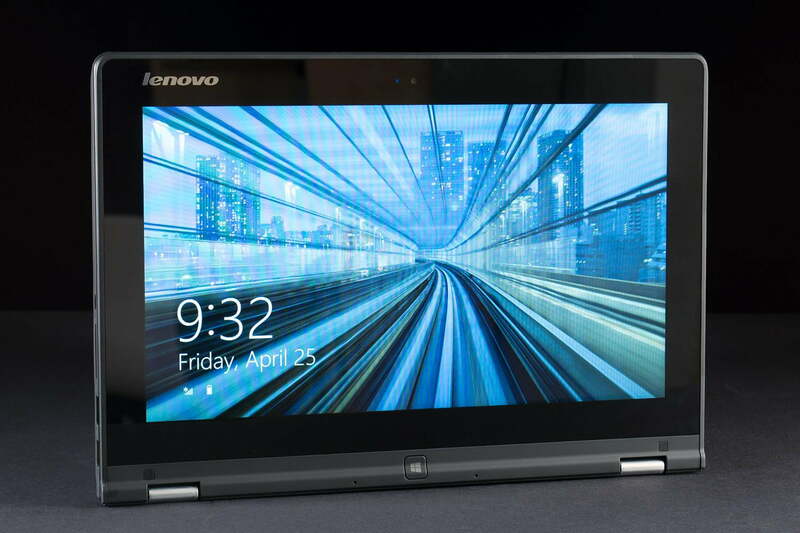 The Lenovo Yoga 2 11-inch managed a score of 5,718, which virtually ties the Dell Venue Pro 11’s score of 5,749, and actually defeats the dual-core Acer Travelmate TMX313, which scored 4,167. The Dell XPS 12 maintains its lead with its score of 6,888, but the gap is much smaller. 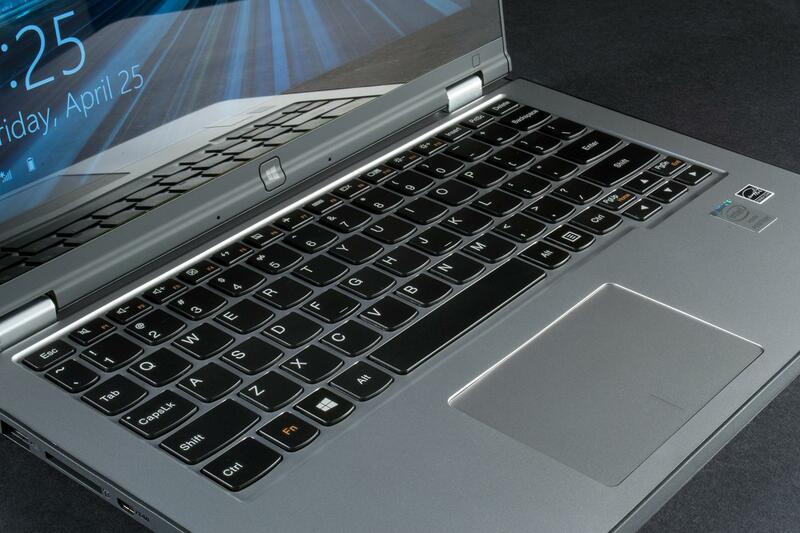 Another potential area of concern with the new Yoga 2, however, is its mechanical hard drive. Though the Yoga 2 11-inch has an impressive 500 GB of storage, we wonder whether the drive would get weighed down by poor performance. Unfortunately, the answer again, is yes. 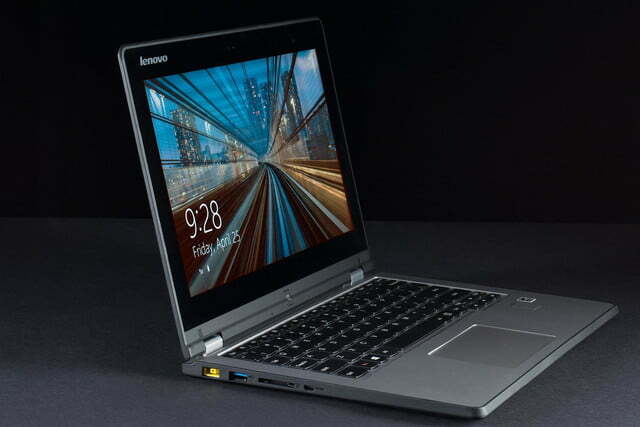 The Lenovo Yoga 2 11 was dominated by the competition in this area, scoring just 1,965. 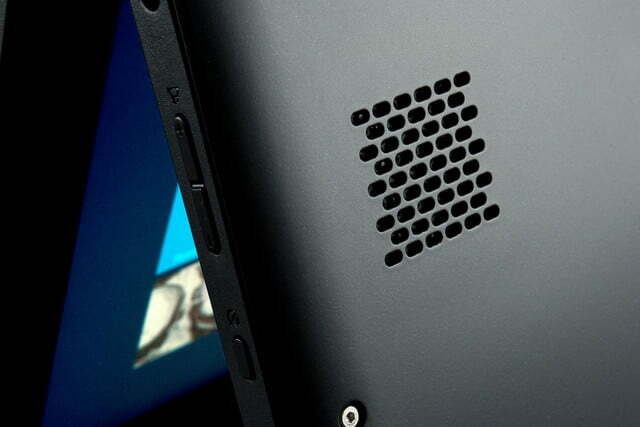 That’s less than half of the next closest competitor; the Dell Venue Pro 11 scored 4,277. We found the Yoga 2’s slow drive speed to be noticeable in day-to-day use, as lengthy seek times sometimes tricked us into thinking that the system became unresponsive. 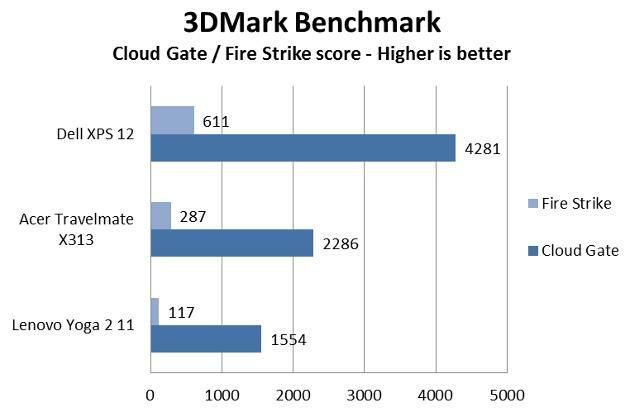 Our final synthetic test is 3DMark, a demanding graphics benchmark. We report the Cloud Gate result, which represents performance in a moderately demanding title, and the Fire Strike score, which stands in for a very demanding 3D game. The Dell Venue Pro 11 is excluded from this comparison because we did not test it with 3DMark when we reviewed it. None of these systems performed well, but the Lenovo Yoga 2 11-inch, saddled with the Pentium’s antiquated integrated graphics, is particularly slow. The Yoga 2 11-inch’s score of 117 in Fire Strike is the lowest we’ve recorded since we started testing with 3DMark a year and a half ago. To see how this translated into real-world gaming performance, we booted up League of Legends, and the results weren’t good. Even at Medium detail, with resolution set to 1366×768, the game was completely unplayable. It averaged around 15 FPS, with a maximum of 23 FPS. Reducing the detail level to Low increased the framerate to a more playable 29 FPS, until combat started that is. At that point, the framerate plummeted to single digits, resulting in our hero’s immediate death as she bumbled across the battlefield. The Yoga 2 11-inch is much smaller than its 13-inch sibling, which makes it easier to fit in a backpack or messenger bag. Reducing size hasn’t put the system on a drastic diet, however, because it still weighs in at three pounds. That’s less than a Dell XPS 12, but far more than a dockable system when it’s used in tablet mode. The tablet portion of the HP Spectre 13 x2, for example, is just two and two-tenths pounds. Peacekeeper’s battery life test chewed through a full charge in 5 hours and 18 minutes. That’s slightly less than the Yoga 2 13-inch, which lasted 5 hours and 29 minutes, and far less than the Dell Venue 11 Pro’s time of 6 hours and 16 minutes. The Yoga 2 11-inch did beat the Acer Travelmate TMX313, however, which lasted only 4 hours and 42 minutes. Of course, all of these scores pale in comparison to a Google Nexus, Samsung Galaxy Tab or Apple iPad. That’s a huge problem, and the Yoga 2 11-inch can’t do much to resolve it. You’ll have to plug into a power outlet far more often than you will with an Android or iOS device, and the power adapter itself is a hassle to carry around. Our wattmeter reported a maximum of 11 watts of draw at idle, a figure that’s on par with most Ultrabooks. The Acer Travelmate TMX313 needs the same amount, while the Dell XPS 12 will eat two watts more. At load, the Yoga 2 11-inch drew only 15 watts, which is very low; the Acer consumed up to 27 watts, and the XPS 12 ate up to 24 watts. Low power draw translated to reasonable external temperatures. At idle, the system never warmed beyond 89.3 degrees Fahrenheit, while at load, we read a maximum of 96.9 degrees. Only the passively cooled HP Spectre 13t x2, which reached a maximum of 81.5 degrees, is significantly cooler. The Yoga 2 11-inch is quiet too. The fan generated 34.6 to 34.8 decibels of noise throughout our test cycle. Even the most demanding benchmarks failed to force a measurable increase in noise. While the fan is audible in a peaceful environment, it’s never loud enough to be a distraction. 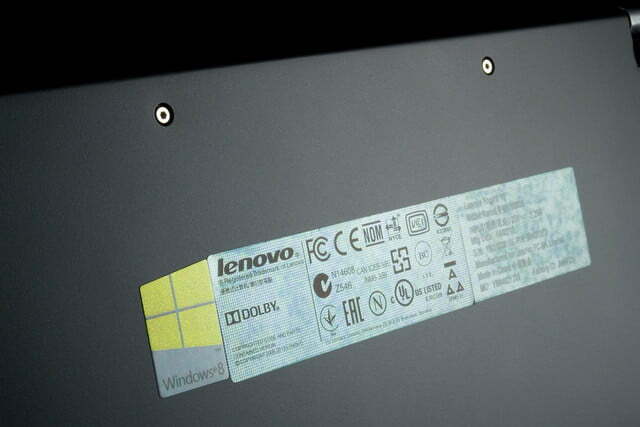 The Lenovo Yoga 2 11-inch is smaller than the 13-inch version, but suffers from many of the same problems. While using the system as a tablet is a bit less awkward, it’s still uncomfortable due to excessive weight and the uncovered keyboard, which always lingers. Battery life is average at best, and build quality is unremarkable, though the 11-inch version’s $499 MSRP partially offsets some of these flaws. A new problem is introduced, as well; poor performance. Yes, the Pentium N3520 scores well in the 7-Zip benchmark, but it stumbles in every other test. 3D performance is atrocious, the hard drive is slow, and single-core speed leaves something to be desired. We even noticed occasional hitches while watching 720p YouTube videos, a problem we thought was banished forever. We’re not sure what makes this new model worthy of the name “Yoga 2.” The now-retired Yoga 11S weighed two-tenths of a pound less, was more attractive, and was substantially quicker in SiSoft Sandra’s Processor Arithmetic test, where it scored 28.4 GOPS. That’s almost 250 percent quicker than the new Yoga 2 11-inch. 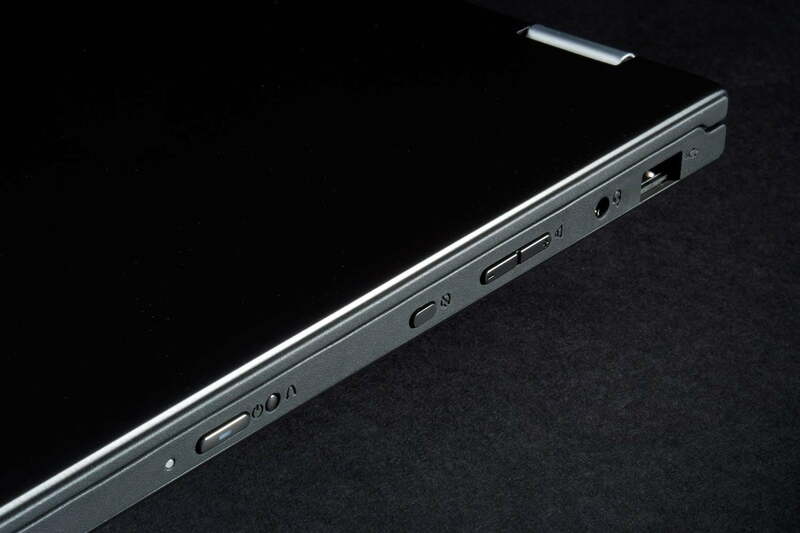 In exchange for all these downgrades, the new Yoga 2 gains a mere half-hour of additional battery life. Sure, the Yoga 11S was slightly more expensive, but it was also good. Lenovo must tread carefully. The company’s quest for sales volume has led to the introduction of inexpensive replacements that aren’t necessarily better than their predecessors. 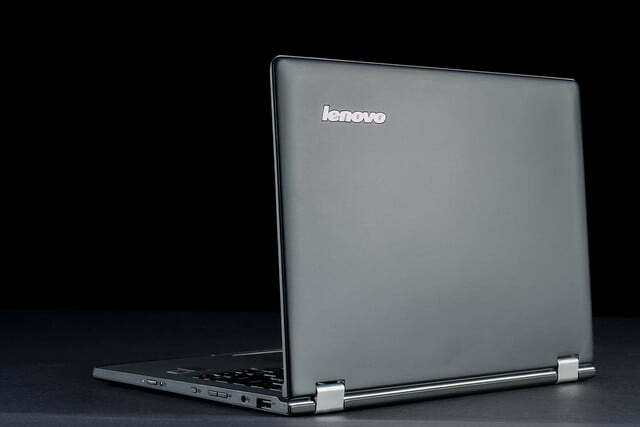 Two years ago, Lenovo looked set to become a leader in the new hybrid market. Now, it’s just another face in the crowd.